Shiite Houthi rebels in Yemen threatening to prevent international boats from passing through the Red Sea. Shiite Houthi rebels in Yemen, who are supported by Iran and Hezbollah, are threatening to prevent international boats from passing through the Red Sea if the Saudi-led Arab coalition continues its attacks on the rebels. Yemen has been subjected to a bloody civil war in recent years. Saudi Arabia supports the Yemenite regime that was internationally recognized prior to the Houthi rebellion and is actively involved in the war against Shiite rebels, including air strikes and fighting along the border. The Houthis, for their part, have often fired missiles at cities in Saudi Arabia. 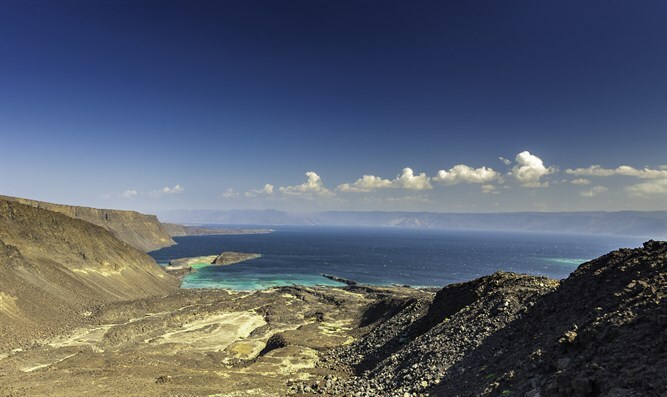 It has long been believed that Iran is planning to use the Houthis to take over Yemen and seize the key strategic port of Aden, which controls the entrance to the Red Sea and ultimately to the Israeli resort city of Eilat, though Tehran denies the charges. The Yemeni government called the Houthis’ latest threat a "blatant defiance of international and humanitarian law and of the UN," while a senior UAE minister said it was further proof of the terrorist nature of the Shiite militias. U.S. Ambassador to the UN Nikki Haley recently presented for the first time pieces of what she said were Iranian weapons supplied to the Iran-aligned Houthis, describing it as conclusive evidence that Tehran was violating UN resolutions. Iran has repeatedly rejected as “propaganda” claims that it was supplying weapons to the Houthis, while the Shiite rebels accused Washington of making accusations against it to divert attention from its decision to recognize Jerusalem as Israel’s capital.